I’m from Breezy Point, NY which is a little beach neighborhood in Queens (one of NYC’s five boroughs). I grew up singing in my church choir, taking piano lessons, and listening to music around the house, but I didn’t really get into it on my own until high school. In high school, I was very involved in my school’s concert choir and a capella group and developed an interest in learning music theory. I also picked up the guitar on my own and have been teaching myself ever since! Honestly, I initially didn’t want to come here at all when I was looking around at colleges. After my mom took me on a tour of the school, however, I began to think more and more that this was the place I was meant to be. My dad convinced me even further by reminding me that other young women and men my age would LOVE to be in New York City and even though I was from here, that didn’t mean that I couldn’t also go to school here. I decided to come to NYU (and specifically the Music Business Program) because I couldn’t see myself living or working without music, but I didn’t want to pursue a career as a performer. I liked the fact that I could continue my music education at one of the country’s top music schools while also studying business at one of the nation’s top business schools and learn about the music industry from renowned faculty and people who were making a difference in the industry. The Beatles, Sara Bareilles, Bleachers, Lorde, Adele, Andrew McMahon in the Wilderness (and formerly Jack’s Mannequin), Bruno Mars, fun., Carly Rae Jepsen, Smallpools, Passion Pit, Emily King, Bastille, Bombay Bicycle Club…to name a few. Long live pop-punk. That’s all I have to say. I really loved my music publishing course with Jennifer Blakeman. She’s a great teacher and the subject is super interesting! Our final “song parody” project is super fun. I saw Lorde at Webster Hall my freshman year, and it was her first EVER show in the US after her first album release. Now look at where she is! 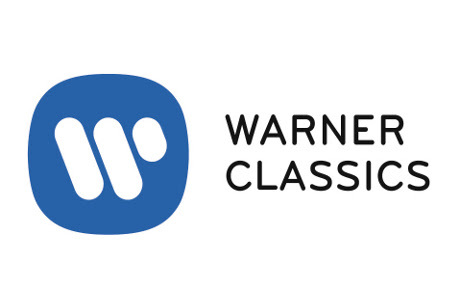 I loved all of my internships, but I would say my best one was at Warner Music Group as a Marketing & Sales Intern under their Warner Classics & Erato labels. Honestly, I never really had a “dream job” per se. I think this industry changes and morphs so often, and that may mean that my dream job doesn’t exist yet. To me, my dream job is whatever I’m doing that I end up loving. It’s okay if you don’t know what exactly you want to do in music yet. There’s a world of opportunity waiting out there for you. I am from Cohasset, Massachusetts. In high school, I started going to a whole bunch of shows in Boston. Most of them were Warped Tour-esce bands, and I got involved with a really tight knit Boston community that formed around this music. I also starting playing drums in sophomore year of high school. I realized nothing brought me as much joy and satisfaction as music, so I decided to pursue it for a career! I decided to come to NYU for a few reasons. First, the opportunities in the music world are unparalleled at any other university or city. Moreover, the town I grew up in was tiny and homogeneous. I wanted to break out of that and be somewhere were differences are celebrated rather then stifled. I knew I could be whoever I wanted to be at NYU, and that wasn’t something I had genuinely felt at any previous point in my life. I also wanted to be surrounded by people who were passionate about what they were doing, sharing what they love and making the most of their college experience. Lastly, I knew I would be incredibly bored at any other school where I was isolated and couldn’t do a million different exciting things every day! Right now, a few of my favorites are Pinegrove, Big Their, PWR BTTM, Hop Along, Mitski, Vundabar. It changes all the time! I love One Direction and I am not ashamed. I really enjoyed Concert Management with Carlos Chirinos and Music Publishing with Jennifer Blakeman. Yes! Every music moment feels cool, to be honest. But my favorite definitely was the first year I worked at Governors Ball. I was on site for about a week and a half before the festival started, and it was simply incredible to watch the way the whole site was put together in the blink of an eye, then be flooded with attendees for three days, then be broken down in about three days. It was really incredible to participate in making it all happen, and I definitely felt like a newbie the whole way. This is so hard. Two standout ones were with Founders Entertainment (Gov Ball, The Meadows) and the one I’ve had now for a year with Sofar Sounds. While both deal with live music, the scale is so different and it’s been really interesting to see the similarities and differences. I worked with amazing, inspiring, caring, and passionate people at both that really shaped my music business experience and personal life trajectory. This is also hard! I think my dream is to one day start my own music festival that is totally based on giving back, like a benefit festival with volunteer and donation aspects. It’s not totally fleshed out yet obviously, but I am really into using the power of music for good. Yes! I didn’t really even know at all what I wanted to do when I entered the program. I just knew I wanted to work with music. But my love of live music and the possibilities to combine my social justice aspirations and music have really formed and grown during my time here. Everyone’s experience is so different, so I think its tough to give advice that would work for everyone! I would say to simply make the most of it. Don’t be afraid to explore, share your ideas with anyone and everyone, dream big, send cold emails, dye your hair, start a conversation with a random person in class. There is no other time in your life where you have such incredible and different people surrounding you every single day, so take advantage of it. Don’t be afraid to be different, there is no right answer! And go to class! -They have shadow sessions, which basically means you shadow another department in the agency like brand partnerships, tour marketing, business affairs, talent/lit etc, so you can see all the different parts of an agency. Not totally a con, but it is a more intense internship, you’re busy all the time and it can be stressful. So, it depends on what you’re looking for. Company Culture: The company culture is friendly overall. Everyone enjoys being around each other and are friends. Your bosses will really want you to learn. There are other parts of the agency that are really intense and can be intimidating. The coolest project I’ve worked on is doing a Visa Itinerary. What that means is when you book an American tour for a non-American artist, you essentially have to prove to the government why they should grant this artist a visa to tour. That includes gathering different flyers of them headlining, different press to show their relevance, but also routing out three years of their tours. 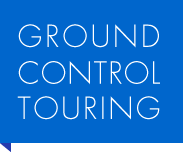 This project is super helpful because it forces you to think as an agent would have to in routing these tours around the country. Interns get a lot of direct work with the catalog, and are given a lot of “real” work. Coffee runs and the like were not intern responsibilities at Reservoir. The focus was always on providing interns with real work experience in addition to learning experience. The internship was unpaid, which I don’t think anybody really likes. That being said, it’s way better to have an unpaid internship where you actually learn, work, and acquire useful skills for the industry. Reservoir was a really positive work environment for me. The open office floor plan makes it very easy to communicate between departments, and the rapport between employees makes it feel less intimidating than the typical corporate office you might picture. It did feel a little intimidating at first, because there are so many comfortable, established relationships in existence, but for anyone willing to strike up a conversation with someone, ask questions, and engage outside of their department, I think this is a great relationship-building company. I signed an NDA my first day at Reservoir, so I can’t disclose anything revolutionary, but I definitely had a lot of fun familiarizing myself with a very diverse catalog. And 2Chainz. I know so many 2Chainz songs now. 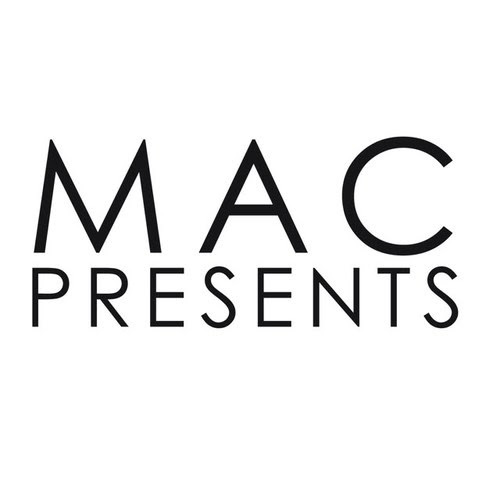 Though MAC is a small agency, they have great connections with industry big shots like Cara Lewis. Because of this, they do a lot of work with her roster… and sometimes Metro Boomin or Taylor Bennett will casually walk into the office as you’re eating lunch. Along with this, MAC’s small nature makes the ability for interns to get face time with full time employees very high. We often work with them one on one to complete research for daily projects. Lastly, occasionally you may get the opportunity to work events – but it isn’t guaranteed. The internship is unpaid – but that’s not much of a surprise. Another unfortunate downside can be found in the fact that because the company is so small, the number of hiring positions after graduation is likely small as well. Relatively laid back; agencies are heavily project/client- based so that means some days interns are doing extensive research into a brand and all past music campaigns they’ve done in recent history. But sometimes, interns are just reading music blogs and advertising publications to keep up to date on industry trends for a good portion of the day. I signed an NDA so I can’t fully say but it involved the love of my life, Chance the Rapper. Laid back work environment, really welcoming coworkers, you learn a ton about the touring industry, a great opportunity to make connections, you get to hear unreleased albums, *free* concert tickets! There are often ~dogs~ in the office!! Very laid back and intimate. Vera (the owner) is a pretty cool lady who takes interest in what’s going on in your life. They’re very flexible about working around any issues that pop up with coming in. They all want to make sure you’re having a good time. Right now we’re working with Peter Buffett (son of Warren Buffett), who’s put out this super political album, so that’s pretty cool. I scored him an interview with a writer at Forbes. Fun fact: Two Sheps was behind the RuPaul Collectible Dolls! Every intern gets a semester project that they work on independently. Because I’m a marketing and sales intern, mine is a mock marketing plan for an upcoming release that I’m going to present to my supervisor/executives at the end of my semester. It’s really cool to have something tangible to work with and be creative with that’s totally my own. There’s a lot of red tape surrounding what an intern can do at Warner (or maybe it’s just my department). I’m not allowed to run phones or interface with press contacts via email, for example, which is some general office experience that I think could be valuable. I was born and raised in Columbus, Ohio. I started playing violin at age 3 through the Suzuki method. In high school, I got to travel to different cities with my violin group to perform in Italy and Peru. During those trips, I saw how important music was to many different cultures, and while we may not have known the same languages, all violin students were able to perform the same repertoire we all had learned. From that experience, I knew I wanted to do something in music, but wasn’t sure how until I interned at CD102.5, a locally owned alt-rock station in high school. I didn’t want to be a performer, so being behind the scenes was the next best thing. It’s funny, according to my mom I started telling people I wanted to go to NYU in middle school, although I have no recollection of this. I visited 15+ campuses and it was only at NYU did I feel like I was at home. It sounds so corny but from the time I got to campus as I student, I felt that there was no other place that I could go that I would love more than NYU. I knew coming here would challenge me in every possible way, and I couldn’t pass up that opportunity. Oh man, this is a hard one. It has and will always change. My all time favorite album is My Beautiful Dark Twisted Fantasy by Kanye West. Besides that, I have been listening to a lot of Melanie Martinez, Kacey Musgraves, Adele, Drake, and Nas. I absolutely love Fat Joe. Ever since Middle School, I have no idea why. He peaked too early and he needs to make a comeback. I am actually really enjoying my Entrepreneurship class this semester. I am learning so much about starting a business from the ground up, and am applying a combination of all of the skills I have attained from other classes. I think it is one that has really challenged my understanding of businesses and will be some experiences that I will carry with me forever. A ton! In really strange, unexpected ways, though. My Freshman year I actually worked for the Strokes’ manager and had no idea for the first few weeks, until Julian Casablancas walked into the office and shook my hand. I was completely caught off guard. Up to that point, no one ever talked about the Strokes directly, so I didn’t have any idea what I was getting myself into. I found the internship randomly on Wasserman and it turned out to be one of my most memorable and favorite experiences in college. I was the first undergraduate recipient for the Freddie Bienstock Scholarship and Internship the summer after my Junior year. I got to actually read through AC/DC and Frank Sinatra copyright contracts, conduct due diligence on potential catalog acquisitions, and learn about how music licensing prices are made. I had learned all about this in my classes, but this time I got to actually take what I knew and contribute to the company. Hmm.. that is in the works. I can see myself going into multiple areas, so I want life to get me there. If I had a straightforward plan, it would be to be an artist manager. I am a control freak. No. I want to keep learning about more and more facets of the music industry. I knew when I came here that I didn’t know what I wanted to do, but I am so happy I have stayed that way because the industry is ever changing. It is important to understand every facet and be able to adapt to anything and everything – in my opinion, it is the only way to stay successful, and the industry needs people who want to continue learning. Be open and creative. Your time at NYU is completely determined by you. Use this time to explore every single opportunity, and never take no for an answer. I am from the suburbs of Baltimore, Maryland. My father has been a Jazz musician my entire life. I have two older brothers that also made music when it was time for me to decide what I wanted to pursue as a career. I’ve written hip-hop music since I was 16 and have been studying more formally since I arrived at NYU in 2012. I wanted to be in NYC. I knew if I was going to work in the music industry, I had to be either here or LA. The layout of NYC is a little more accessible than LA, which is why I chose NYC/NYU. I applied on a whim thinking I wouldn’t get in and even applied to a few lower caliber schools in the area so I’d still be able to live in NYC. When I got in, I additionally reasoned that I’d be able to get a good education and better connections in the industry if I went to NYU. Frank Ocean, Kendrick Lamar, Future, Anderson .Paak, GoldLink. All of these artists have changed the way I think about their genres. Yeah, I actually really like Miley Cyrus. I listened to her last album just to be up on new music and then ended up really enjoying it. I’ll admit to it to anyone, but you probably won’t see me playing her out loud anywhere. There are a few. First and foremost, surprisingly, Intro to the Music Industry. The way the class was coordinated wasn’t the best, but the things I learned in that class provided a foundation for me that I still use today. Also, Music Publishing. That was sort of the opposite of Intro to the Music Industry. I wasn’t too interested in it but Professor Jennifer Blakeman’s enthusiasm and drive definitely made its mark on me. I even interned for a publishing company the summer afterwards. I watched the film “Warriors” after working a Meet&Greet event for Run the Jewels right after the release of their album Run the Jewels 2. I was interning for their label, Mass Appeal Records, at the time. I watched the film with them and a few super fans. They paid for beer for everyone in the the Nitehawk theater and I was even able to bring my girlfriend. There’s nothing better than Killer Mike pointing to you and saying to your girlfriend, “your boyfriend is a great guy.” After the film was over, Nas showed up and premiered a song for the small audience. I can say I’ve heard a Nas song before anyone else (except the other people in the theater, obviously). Definitely a night I’ll remember for the rest of my career. Audible Treats. As soon as I showed up, I was brought right into their workflow and was able to start growing immediately. They brought me to industry events regularly, the first to do so after I turned 21, and I still interact with them today. I work in management and was able to bring a lot of experience and knowledge I received from Audible Treats to my current job, although Audible Treats was a PR agency. I’m grateful for the experience I had there and their willingness to really let me grow into my own in their company. I work for a management company (Equative Thinking) now as an Administrative Assistant. The dream is to manage a successful artist. I am surrounded by great and driven people where I work. I look to them daily for advice and motivation as well as educate myself via books, articles, and whatever I can find to really hit the ground running towards that dream after graduation. When I entered the program, I wanted to be a DIY hip-hop artist. I wanted NYU to teach me how to be self-sufficient in the industry as a creator. Although I still make music and my internships and NYU have attributed to my growth as an artist, I wasn’t expecting to fully immerse myself in the business as opposed to the creative aspect. However, I think it does help that I was an artist first. I think that gives me an edge as an artist manager. Try as many things as you can and be patient. I’ve interned for a label, publishing company, PR agency, and now I work for a management company. The more things you try out, the more likely you’ll land on what you actually want to do. I didn’t know I wanted to be in artist management until the beginning of my senior year. Be willing to try new things and wait until something sticks. If you’re truly passionate about the music business, something will. Lastly, and possibly the most important, keep and maintain your relationships in the industry. When you leave an internship, you should have at least one person who you can go back to for advice or possibly even a job opportunity, if needed. Keep those relationships strong and trying to work in the industry won’t feel so lonely. Finding your place is a lot easier with a support system. You never know where a lunch date can get you. Guest post by Karina Barroso (UG ’17). We encourage feedback and commentary on all Student Outlook contributions. Leave a comment below or tweet us at @NYUMusicBiz. Village Records had an extremely exciting semester this fall. With a solid list of previous artists the class has worked with in the past, we knew we wanted to work with another phenomenal act. Village Records is a semester-long class that focuses on teaching students the ins-and-outs of what it means to run a record company. Village records does not release music, but the class focus our energies on other tasks like helping the artist create new content they can utilize to promote their music. Since the course only last a semester, we have to pick up where the last semester’s class left off. From the beginning, our class split into departments, which included Marketing, Press and PR, A&R / Label Management, and Product/ Content Management. Early in the semester, Matt McDonald came to speak to give the class insight on effective A&R scouting at a festival. We then spent the week of CMJ attending showcases and scouting potential talent to work with for the semester. After spending CMJ hearing some of the coolest up-and-coming artists, our class chose Kevin Burke as the new Village Records artist. Kevin is a multi-instrumentalist from Long Island who has a really pure sound to pair with his honest writing. While getting to know Kevin, our class planned to shoot a video of a live performance, book time in Steinhardt’s Dolan recording studio to help him record a new track, and plan out the premiere of the video. We spend a good chunk of our time writing bios, designing EPKs, communicating with Kevin’s manager, pitching to press for coverage, and planning the shoot for the video. Though we ran into some trouble along the way, we managed to film an intimate performance of Kevin playing in NYU’s Kimmel Center, with a gorgeous view of Washington Square in the background. We also ended the semester with well-edited video clips for his social media, new coverage from blogs, and a professionally recorded song. One thing our class learned from this experience is how much works goes into managing a label. Some of us never realize how tricky it is to find cinematographers and editors for films, know the best press to pitch to, and maintain good communication with a large group of people. It’s never easy stepping into a project where you have to limited time to work with an artist, but it definitely provided hands on experience of the industry for the entire class. Working with an artist like Kevin was a pleasure, and I can’t wait to see the work this next semester class does!